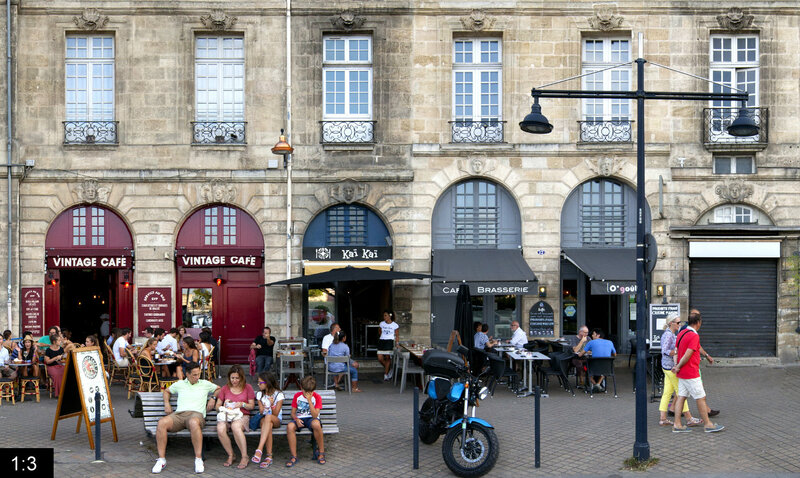 The Quai Richelieu is one of the central parts of the shore of the Garonne river in Bordeaux. 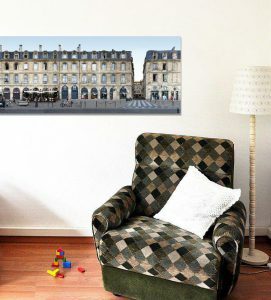 We can see the classic view of this city in southwestern France, which developed in the 18th century and is a UNESCO heritage site since 2007. 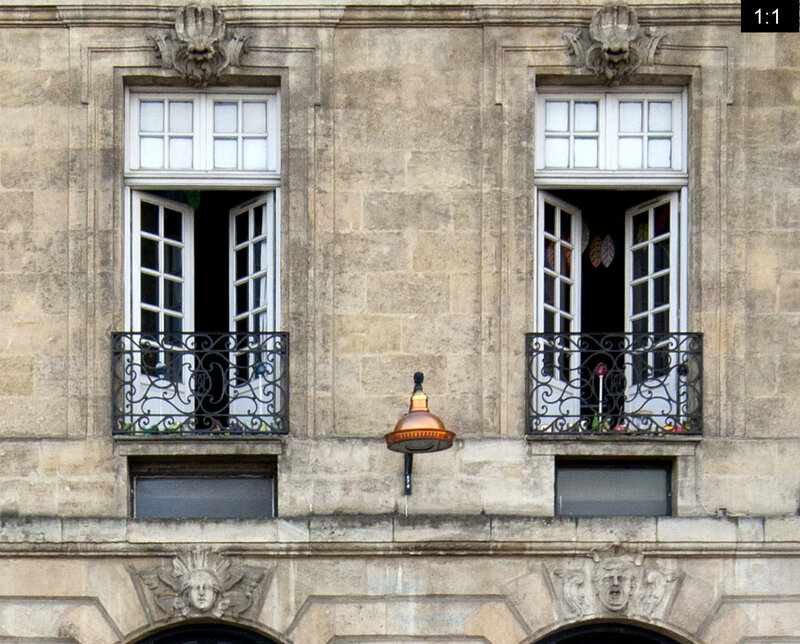 The complete old town of Bordeaux has been awarded this ensemble status. 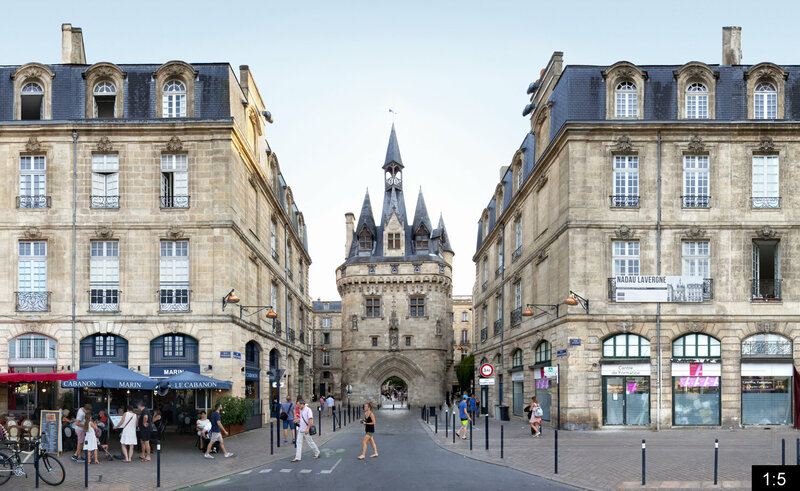 It is nicknamed the Port de la Lune (Port of the Moon) and is known for its consistent architectural character, created in the age of Enlightenment. 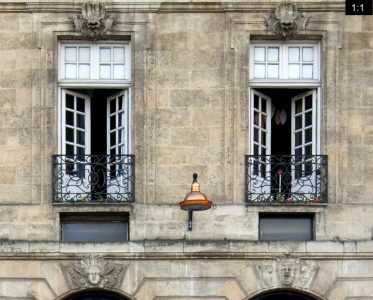 Bordeaux is, second to Paris, the city with most protected buildings in France. In the centre we see the Porte Cailhau, one of the best known sights of Bordeaux and the former main gate towards the harbour. It was errected about 1495 in honour of Charles VIII. 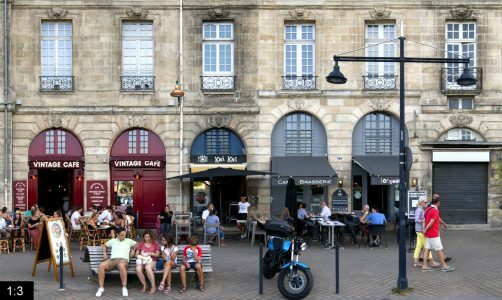 It is named after both, a former patrician family with a number of mayors of Bordeaux, as well as the former Quai du Caillou (Stone or Pebble Stone Quai). The latter a reference to the importance of this part of the harbour, which was the first to be paved with stones. The architecture of the gate bears features of both Gothic and Renaissance, it is partly characterized by its medieval defence character and partly by its decorative parts. Including the roofs it reaches a height of 35 metres. This river front view along the Garonne in Bordeaux was presented in week 33 of our 101 weeks 101 cities of europe project. On canvas, as fine art print, gallery print or other options. In fixed or individual sizes. Get in contact with us or take a look into our shop area.